Home » Outlook » How to Start Outlook in Safe Mode? Microsoft Office applications (like Windows OS), have a special launch mode – Safe mode, which allows to run the desired application in a minimal configuration when it stops running in normal mode. So, if you start Outlook and there are some critical errors occurred (they prevent its normal launch), Outlook will automatically start in a Safe mode. When you start Microsoft Office in a safe mode, it runs without any add-ins and extensions. In this mode you can’t save template settings, preferences and new tags, also you can’t perform any ribbon customization or create/open documents with restricted permissions. 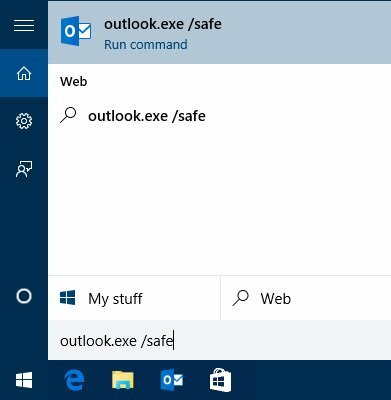 When working in Safe Mode, you can disable any additional or third-parties extension that preventing normal Outlook functionality (File -> Add-ins -> COM Add-ins -> Go -> Clear all COM add-in checkboxes). Note. Before you start Outlook in safe mode, you must close it and verify with the Task Manager that the outlook.exe process is not running. This method is faster and easier and works with all versions of Windows and Outlook. 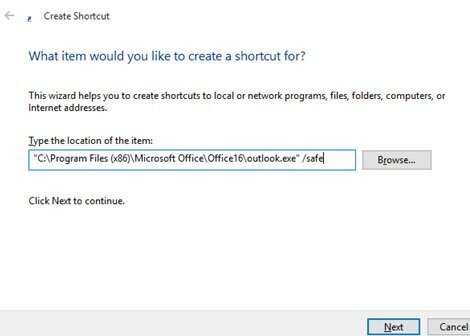 Locate the shortcut to the Outlook email client on the Desktop or in the Taskbar, hold down the CTRL key on the keyboard and double-click on the shortcut. You’re holding down the CTRL key. 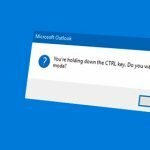 Do you want to start Outlook in safe mode? Click Yes to confirm that Outlook runs in Safe mode. The fact that Outlook is running in Safe mode is indicated by the text in the title bar Microsoft Outlook (Safe Mode). You can run Outlook Safe mode via command with a special parameter. This method is convenient: there is no need to search for an application shortcut. Now press Enter or OK button and Outlook should start in a safe mode. Specify the path to the folder with exe. In the input field enter the following line (in this case we use Windows 10 x64 and Outlook 2016 x86). /safe:4 – Run Outlook without loading the outcmd.dat file (contains information about customized toolbars). If Outlook does not start even in the Safe mode, you should try to re-install Office.